In social care we face two “challenges” bordering on crisis: the rising demand for care from an ageing population and budget cuts. In Thurrock, both have encouraged us to rethink our entire approach to delivering services. In recent decades, social care and other public services have encouraged a needs-based mindset. This has focused on people’s vulnerabilities and ignored their strengths and networks. We aim to change that locally by handing power to individuals and communities, encouraging them to take more responsibility by using their – often untapped – strengths, skills and passions. All this might sound like conceptual fiddling while our budgets, if not exactly burnt, continue to get heavily singed. However we are already putting the new approach into practice. For example, last year we appointed three local area coordinators to work closely with vulnerable individuals and their communities to share strengths and find local solutions. The coordinators learn about the clubs, organisations and informal support available in communities and link people into these. Since taking up post last summer, the coordinators have helped dozens of individuals in need of relatively ‘low-level’ support, diverting them from formal social work interventions. They have had a profound effect on loneliness and isolation by helping people to meet others and emphasising social connections. Take the case of Mr C, a man in his 80s who lives alone in a tower block. He was left with multiple disabilities, including visual impairment, after a stroke. Mr C’s local area coordinator got in touch with him and explained the activities and social opportunities available locally. The coordinator accompanied him to one club, where he talked happily with people of a similar age, many of whom shared his upbringing in London’s East End. A club member gave the man his phone number and offered regular lifts. The local area coordinator also arranged for improved access to Mr C’s block’s communal space, meaning he could spend more time outside and meeting neighbours. Just over half of the people our local area coordinators support are over 65. More than 40% have learning or physical disabilities, mental health problems or sensory impairment. Although a small percentage of introductions to the coordinators have come from social services, most have come from voluntary groups, councillors or GP practices. In Mr C’s case, a disability advice service asked the local area coordinator to get in touch to see if they could help him emerge from social isolation. An evaluation of the first 16 weeks of the programme recommended appointing five additional local area coordinators. It is too early to identify long-term cost savings but experience elsewhere suggests costs can be recouped through reduced demand for health and social care and more integrated care. Another key strand of our new approach is our first local community ‘hub’ at the South Ockendon Centre. The hub offers a community space. 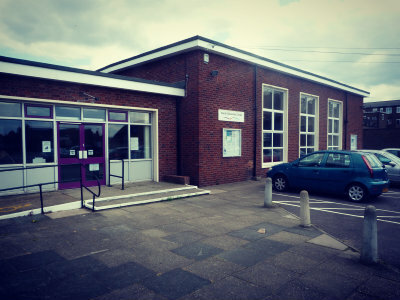 It hosts the local library but also has daily advice surgeries from the council’s housing department, NHS health checks and drop-ins from a range of local voluntary sector services such as mental health charities. However, it is the volunteers and community meetings that make the hub special. Community volunteers provide sign-posting, guidance and advice. They support residents in their own community to better manage their challenges. In most cases the solutions and support come from the community or voluntary sector. Statutory services become involved in the more complex cases. Several other communities are developing their own hubs in partnership with the council. Ultimately these will be managed by community interest companies – with local council assets transferred to these companies where appropriate. Some people initially suggested that our new approach, particularly the use of local area coordinators, is “social work on the cheap”. We are clear it is not. The coordinators are not a replacement for qualified social workers doing what they do best – working with clients with the most complex needs or greatest vulnerability. This is cultural change that enhances the value of social work, the key role of the community and the centrality of the individual. However, in the current financial climate there is an absolute need for social workers to work with those people who most need their expertise, training and experience. The statutory and voluntary sectors do some things best and at scale. However there are other things, such as tackling isolation, that are best done by empowered individuals coming together at a community level. New thinking and new ways of working can help us and the people we serve adapt to meet the coming challenges together. This is something that has been happening in Blackpool for a long time, a team called Review team plus were looking to more commmunity based resourses as opposed to formal provision. This is more important than ever, given budget cuts and the need to be preventitive. There will be an increased reliance on third sector. Plus Community services know their communities better than others, and so are best palced to proivde resources “tailored” to locals.